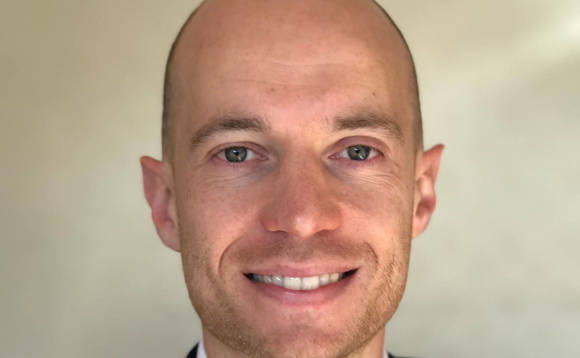 Rob Hodgson, a British wealth management executive whose most recent role was as a senior private banker with Westpac in Sydney, will join the GWM Group’s London office on Monday. The position is a new one, and comes as the firm expands its London office. As reported here last year, the Dubai-based GWM Group, also known as Guardian Wealth Management, opened the FCA-authorised London operation to cater for UK-based, high-net-worth clients, out of offices located in the city’s affluent Mayfair district. Previous roles for Hodgson, pictured above, in addition to Westpac include almost 10 years with Lloyds Private Banking, in its HNW Mayfair operation. He holds the Chartered Financial Planner, Fellow of the Chartered Insurance Institute and Investment Management Certificate qualifications, and specialises in complex tax planning and investment management for high and ultra-high net worth individuals, according to GWM. At GWM, Hodgson will be responsible for expanding the business across Europe, according to Chris Payne, who heads up the London operation. Including Payne and Hodgson, the London GWM Investment Management team now numbers six. Pimco, the investment management company based in Newport Beach, California, has named the current head of its Singapore operation, executive vice president Michael Thompson, to head up its Asia ex-Japan business. The company didn’t say who Thompson succeeded in the role, but noted that he “will assume his new responsibilities immediately and relocate to Hong Kong in the coming months”. He will report to Kimberley Stafford, who is managing director and head of Asia-Pacific at the company, a subsidiary of Germany’s Allianz SE since 2000. In a statement, Pimco noted that Thompson, has 23 years of investment experience, and first came to Pimco in 2006, when he joined its London office as head of European third-party distribution. He then moved to take up a role with the company’s Asia Ex-Japan wealth management operation in Singapore four years later. Taking on Thompson’s duties as head of the Singapore office will be Scott Steele, currently an executive vice president and head of Hong Kong and Singapore global wealth management at Pimco, who will relocate to Singapore. RBC Wealth Management, the Royal Bank of Canada division, has unveiled a number of appointments to its London office that it said will boost its ability to look after clients. Priya Sriskantharajah and Sharon Templeton are joining the wealth management operation’s Corporate Executives client segment team as directors, while Jakub Brogowski and Matthew Hunter have been named to its Business Owners & Entrepreneurs team, as director and associate director respectively. Sriskantharajah comes to RBC Wealth Management from Lloyd’s Banking Group, where most recently she was a global relationship lead in its motor retail area, handling transaction-based work and new business origination. Templeton joins RBC Wealth Management from Smith & Williamson, and has more than 20 years’ of experience in investment structuring, including advising resident and non-domiciled private clients from Europe and the US on their personal and cross-border tax positions, according to the company. Brogowski comes to RBC Wealth Management from RBC Capital Markets, where he was a senior member of its European Energy Team. Altogether he’s spent some fifteen years working in investment banking across Europe, the Middle East, Africa and North America, RBC Wealth Management said. Hunter is also coming to RBC Wealth Management from Lloyds Banking Group, where he spent six years working for the bank’s wealth management operations. All four of the new hires will report to Ross Jennings, RBC Wealth Management said.